At Whitmore Custom Homes, it is very common for new home clients to ask us about pricing during our initial consultation. And it makes sense; you wouldn’t want to sign up to build your dream home without first having an accurate understanding of project costs and budget. As custom home builders, we use the cost per square foot average of a home as a benchmark, and as a helpful tool to estimate the cost of a project. Many people think that the cost per square foot of their home is a hard and fast rule that says that every square foot of a home costs precisely that $100 dollars the builder said. But there’s a lot more that goes into it. Since every home we build is specific to our customers needs, more information is needed on the front end to truly estimate where your dream home would come in on a price per square foot basis. A nice tool for our customers is that we have historical data from our past builds where we can show you where they came in on a price per square foot basis and based on the features within that home we can give you an idea of where your home may be priced. An example we like to use is the process of purchasing a vehicle. Two people can purchase Car X but if one person wants heated/cooled leather seats, navigation, backup camera, chrome trim they are going to pay a lot more than the person that wants just stock options that has cloth seats and doesn’t want all the electronics and fancy trim. The car still has the same make and model number but one costs much higher than the other. 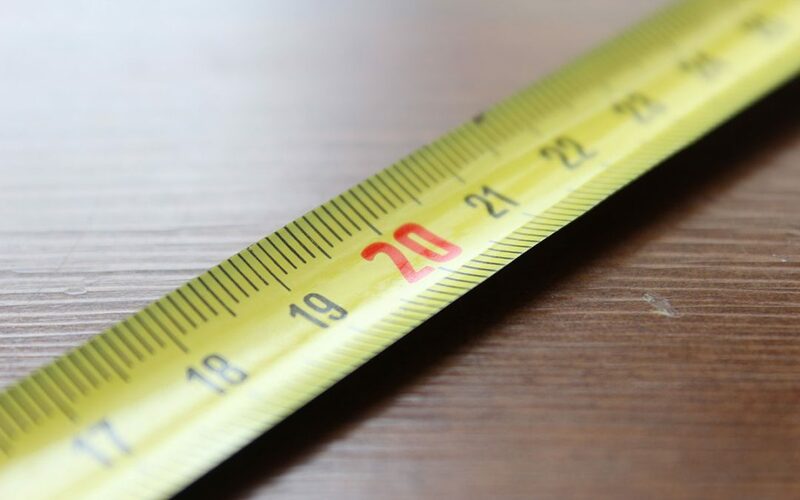 For this reason alone, we always advise people to exercise caution when considering a cost-per-square-foot estimate. To help address some of this pricing confusion, we thought we’d lay out the cost per square foot breakdown in this blog. Here, we’d like to show you what goes into the cost per square foot average and what types of things really affect it. Things to keep in mind when considering cost per square foot. Kitchens and bathrooms will likely cost more than any other room in your new custom home. When you think about it, it actually makes a lot of sense: Kitchens and bathrooms have expensive appliances, special flooring, additional plumbing, and extra design elements. The kitchen in your home could be one of the most expensive costs factored into the overall price of your home, but because the cost per square foot is a simple average, it doesn’t show that your average is higher because of your kitchen. Finished basements could, in reality, cost somewhere around $80 per square foot, while a kitchen in the very same house could cost as much as $250 per square foot. Regardless, your average cost per square foot will be somewhere in the middle, a number that’s a touch misleading. The design, shape, and general footprint of your home are also going to have an effect on the overall cost per square foot of your home. Say, for example, we’re building two homes, both 2,500 square feet above grade, but one is a ranch and the other’s a two-story. All other costs removed, just based on the footprint of the home, the ranch is going to cost more per square foot because of its more linear design with all 2,500 square feet having to be framed in one large foundation where the two story being more vertical has a smaller foundation therefore less construction cost . There are many considerations when calculating and evaluating cost per square foot. The third major factor that we often see influencing a cost per square foot average has to do with special projects. These are projects like high-end custom appliances or an expansive outdoor living space that don’t actually add a single square foot onto your home yet significantly increase the price. Say, for example, you want your new home to have an elegant outdoor living space with built in kitchen and fireplace. Your builder estimates the cost of that outdoor living space to be $60,000 When you have the builder complete the outdoor living space, you’ll have added 60,000 to your overall cost, without adding a single square foot of space to your new home. The outdoor living space will then be reflected in your average cost per square foot. You’ve added more to the cost of the entire build, without adding any square footage, which means that that the average cost per square foot is going to increase. As you can see, the cost per square foot of a custom home can fluctuate greatly. You should ask yourself questions like do I want an expansive gourmet kitchen? Is my master bathroom going to resemble a spa? Do I want a huge outdoor living space? The best way to get a solid, concrete estimate for the overall price of your home is to hold an initial consultation meeting with your custom home builder. A good home builder will be able to walk you through the actual budget of your home and give you a holistic look at what you’ll be paying for amenities, appliances, and special projects. They will also help you make (sometimes tough) decisions to stay within your budget. We know that pricing out a home building project is confusing, and oftentimes daunting. That’s why we’re always here to answer your questions or give you examples of other homes we have built that could give you an idea of the cost of your custom home building project, be sure to give the experts at Whitmore Custom Homes a call.